NEW YORK, N.Y., Dec. 7, 2015 (SEND2PRESS NEWSWIRE) -- Weitz & Luxenberg, P.C., today announced that the firm has expanded the scope of its investigation into SGLT2 inhibitor drug injuries. SGLT2 inhibitor drugs include Invokana and others listed below. This move will allow the nationally known mass tort law and personal injury firm to focus on cases where people taking SGLT2 inhibitors were hospitalized after developing urosepsis (serious infection of the blood) or pyelonephritis (infection of the kidneys) from SGLT2 inhibitor-associated urinary tract infections (UTIs). Weitz & Luxenberg's decision to add serious urinary tract infections resulting in urosepsis or pyelonephritis to its probe came after the U.S. Food and Drug Administration (FDA) announced manufacturers of SGLT2 inhibitors would be required to include a warning about the risks of serious UTIs associated with this class of medication, the law firm said. The FDA conveyed this new requirement in an updated Safety Communication issued on Dec. 4, 2015, said attorney Ellen Relkin, who is leading the Weitz & Luxenberg defective drug and medical devices's SGLT2 inhibitor investigation. In the same Safety Communication, the FDA said SGLT2 inhibitor labels must also contain warnings about the risks of another serious complication that can occur - diabetic ketoacidosis. Ketoacidosis is a serious condition in which blood acids called ketones are produced in high concentrations. The condition can be fatal if it goes untreated. The FDA explained that the new requirement for SGLT2 inhibitor labels was prompted by reports appearing in the FDA Adverse Event Reporting System (FAERS). These reports linked SGLT2 inhibitors with many cases of patients developing ketoacidosis and SGLT2 inhibitor-associated UTIs to cases of patients developing serious urosepsis or pyelonephritis, resulting in hospitalizations. Urosepsis is a potentially life-threatening blood infection, while pyelonephritis is a serious infection of the kidneys, attorney Relkin said. Indeed, the FDA notes that all of the reported cases in FAERS of urosepsis and pyelonephritis associated with SGLT2 inhibitors required hospitalizations, and "a few required admission to an intensive care unit or dialysis in order to treat kidney failure." "UTIs have been listed in the labels of SGLT2 inhibitors under the section dealing with adverse reactions," attorney Relkin noted. "Moreover, the 'clinical studies experience' section of the label for two of the SGLT2 inhibitors, Invokana (canagliflozin) and Invokamet (canagliflozin and metformin), states that UTIs occurring with the use of these drugs included urosepsis," she added. However, the FDA is now of the view that listing UTIs as an adverse reaction or under the clinical studies experience sections of SGLT2 inhibitor labels do not provide adequate warning of the potential dangers of SGLT2 inhibitor-associated UTIs. After reviewing reports pertaining to SGLT2 inhibitors, the FDA determined that warnings needed to be added to the labels to warn about the risks of too much acid in the blood (ketoacidosis) and of serious urinary tract infections potentially leading to life-threatening urosepsis or pyelonephritis, if left untreated. The FDA recommended patients discontinue use of the SGLT2 inhibitor and immediately seek medical attention if symptoms of ketoacidosis occur, the law firm said. Symptoms of ketoacidosis include nausea, vomiting, abdominal pain, unusual tiredness and trouble breathing. The FDA also advises patients to contact their health professional "right away" if they develop any signs or symptoms of a UTI, including a burning sensation during urination, feeling the need to urinate frequently, feeling an immediate need to urinate, pain in the pelvic area, blood in the urine, fever, back pain, nausea or vomiting. In addition to describing these SGLT2-inhibitor safety issues, the FDA's Dec. 4 Safety Communication also provided prescribing and monitoring recommendations. As well, the FDA indicated that manufacturers of SGLT2 inhibitors would be required to conduct a study to analyze spontaneous postmarketing reports of ketoacidosis in patients using SGLT2 inhibitors, including the collection of additional specialized follow-up data for 5 years. SGLT2 inhibitors are FDA-approved prescription medicines for use with diet and exercise to lower blood sugar in adults with type 2 diabetes, according to the FDA. * Invokamet (canagliflozin and metformin). * Xigduo XR (dapagliflozin and metformin extended-release). * Glyxambi (empagliflozin and linagliptin). * Synjardy (empagliflozin and metformin). Weitz & Luxenberg said its investigation of injury cases arising from the taking of SGLT2 inhibitor drugs began last June. The injury of greatest concern prior to the release of this updated Safety Communication has been SGLT2 inhibitor-caused diabetic ketoacidosis that has resulted in death or has required hospitalization, the firm explained. Now, cases of urosepsis and pyelonephritis that begin as UTIs occurring while taking an SGLT2 inhibitor are equally concerning. Weitz & Luxenberg said attorneys are available to discuss the legal rights of those taking SGLT2 inhibitors who were injured (or to their surviving spouses or relatives). To arrange for a no-cost, no-obligation consultation, call Weitz & Luxenberg toll-free at 800-476-6070, or visit the firm's website at http://www.weitzlux.com/ and fill out the request form. Weitz & Luxenberg P.C. is among the nation's leading and most readily recognized personal injury and consumer protection law firms. Weitz & Luxenberg's numerous litigation areas include: mesothelioma, defective medicine and devices, environmental pollutants, products liability, consumer protection, accidents, personal injury, and medical malpractice. Victims of consumer fraud are invited to rely on Weitz & Luxenberg's more than 25 years of experience handling such cases. You can contact the firm's Client Relations department at 800-476-6070 or at info@weitzlux.com. 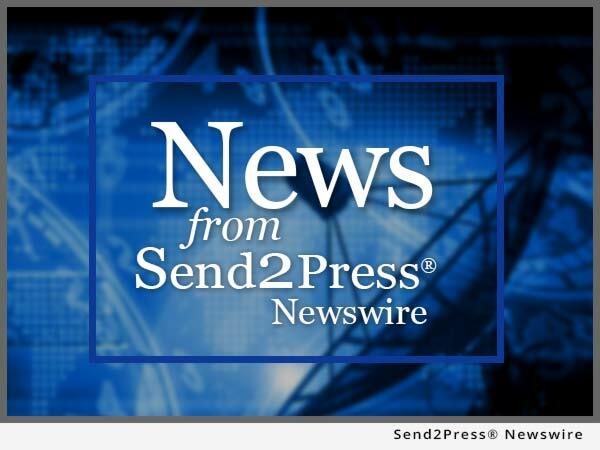 To view the original version on Send2Press Newswire, visit: https://www.send2press.com/newswire/weitz-luxenberg-adds-serious-urinary-tract-infections-to-sglt2-inhibitor-injuries-probe-2015-1207-05.shtml.